Summary: Wangari Maathai, a Kenyan biologist and the 2004 Nobel Peace Prize winner, founded the Green Belt Movement in Africa. She was a Roman Catholic whose faith spurred her to work for environmental justice. This is her story. 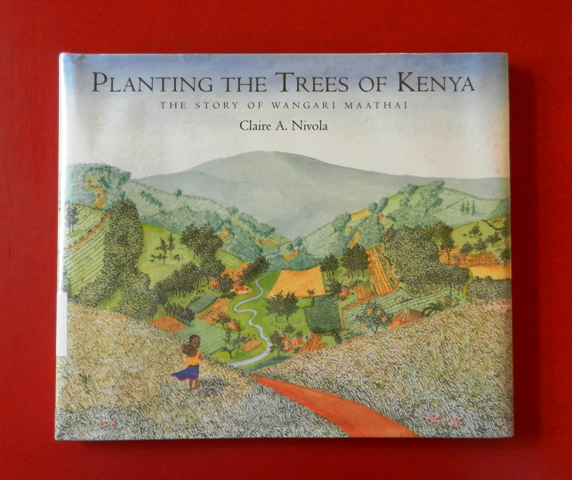 Hanna’s Comments: There are many children’s books about Wangari Maathai. This version is available in a variety of languages and includes a detailed author’s note about Wangari Maathai’s work. Find another PBT post featuring a book about Maathai which highlights her personal story at this link: http://www.picturebooktheology.com/2016/10/a-creation-care-hero.html . Wangari Maathai died in 2011. There is much information about her on-line. Idea(s) for Application: Read this book during a children’s program on Contemporary Heroes of Faith, Environmental Justice, or Creation Care.